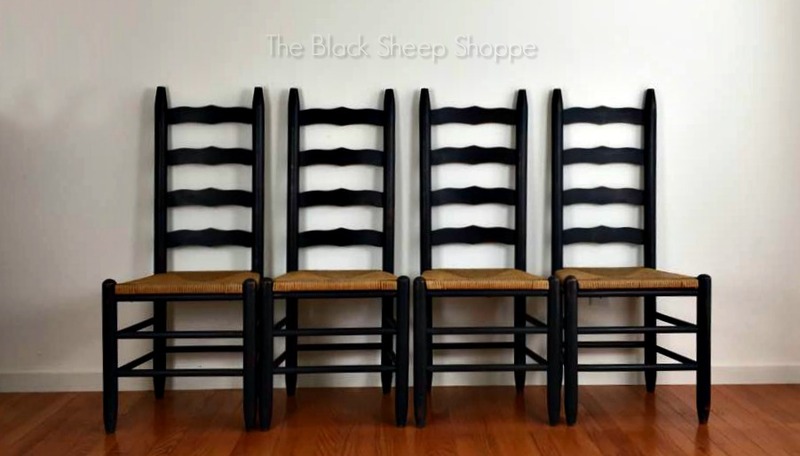 I spotted these chairs for sale on Facebook Marketplace, contacted the seller, and 30 minutes later the chairs were mine. How easy was that? After cleaning the chairs I removed the seats so it would be easier to paint. I numbered each of the chairs and its corresponding seat to make re-assembly easier. The screws were old and difficult to unscrew, but I persevered and got them out. 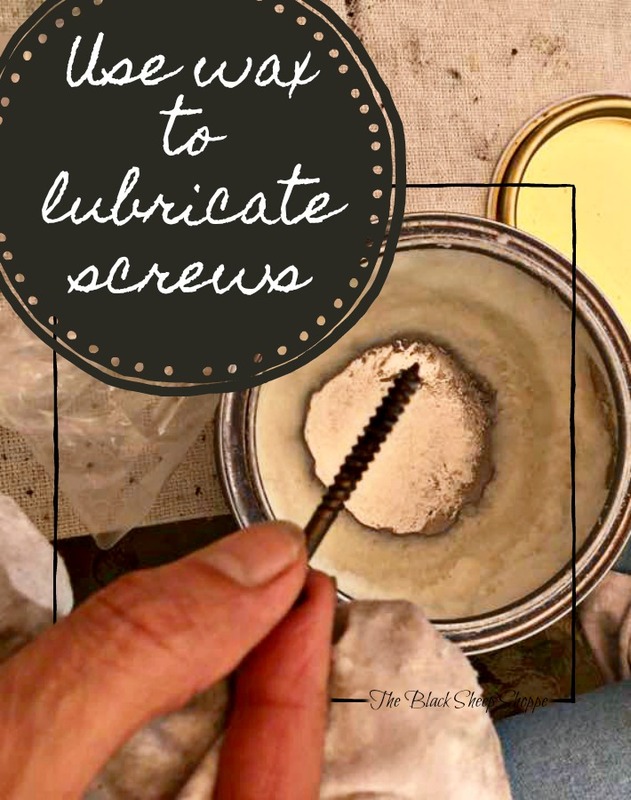 I knew getting them back in would be a chore, so to make the job easier I lubricated each of the screws with soft clear wax. A little bit of the wax seeped out once the screws were tightened. I simply used a shop cloth to wipe away the excess. Wipe away excess wax with a rag. I worked the chairs in an assembly line fashion. I applied the first coat of paint on each of the chairs. Next I painted the second coat. 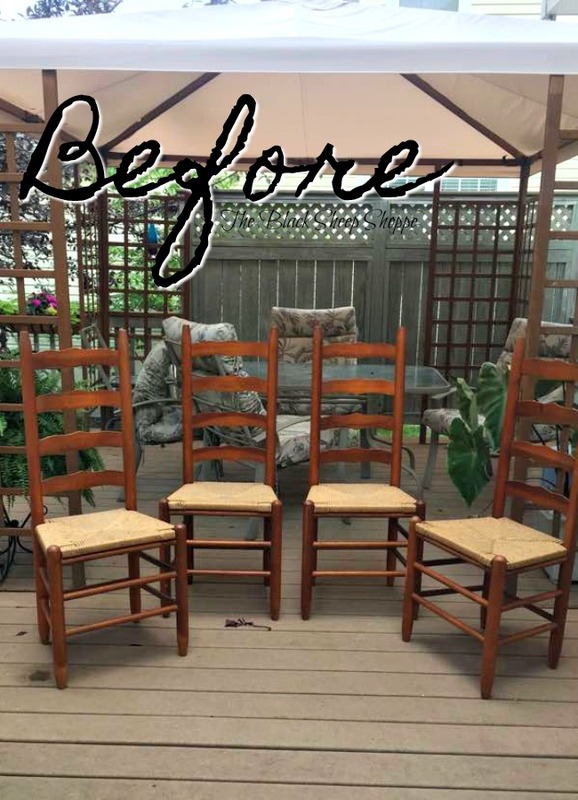 I then distressed each of the chairs, cleaned off the sanding dust, and applied wax to seal the paint. It's a fairly straight forward process, but to be honest by the third chair of each step it became tedious. Good thing I like painting furniture. 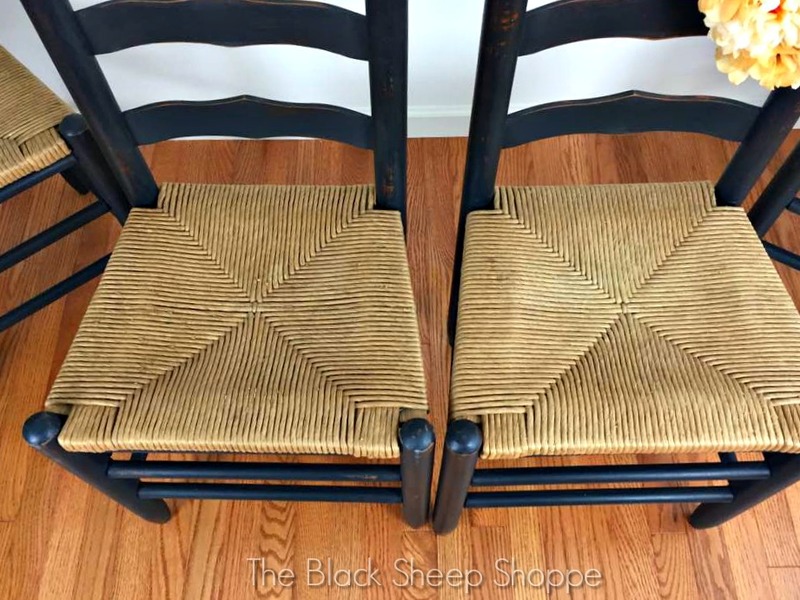 Here's a quick side-by-side shot of two of the chairs before I applied the wax and after. 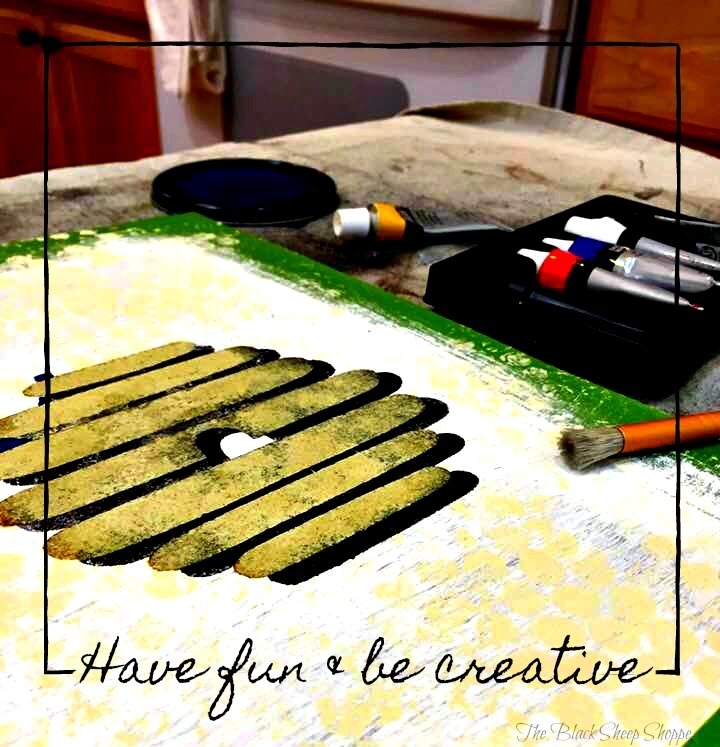 The wax not only seals the paint, it also deepens the color and gives it a luxurious feel. I think it's more striking in person, but hopefully the photo gives you an idea of the difference the wax makes over Chalk Paint. Here's a close up of the paint after it was distressed and waxed. 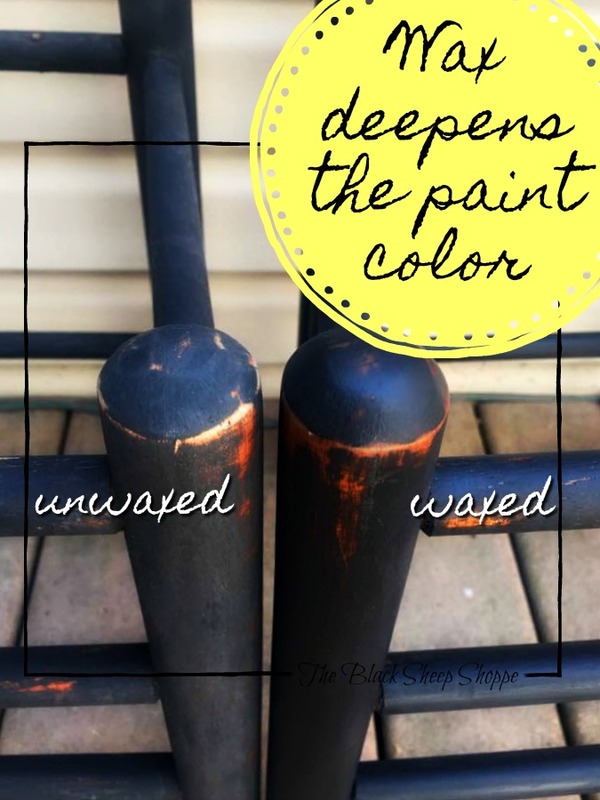 Graphite Chalk Paint distressed and waxed. I love the traditional look of the natural seats against the black paint. 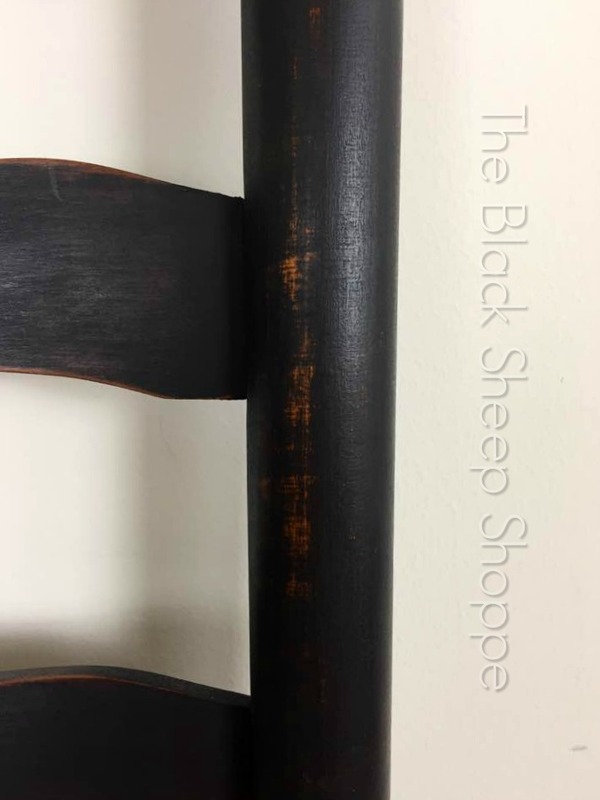 Natural toned seats against black paint. There's is a bit of wear to the seats, but not enough to need replacements. 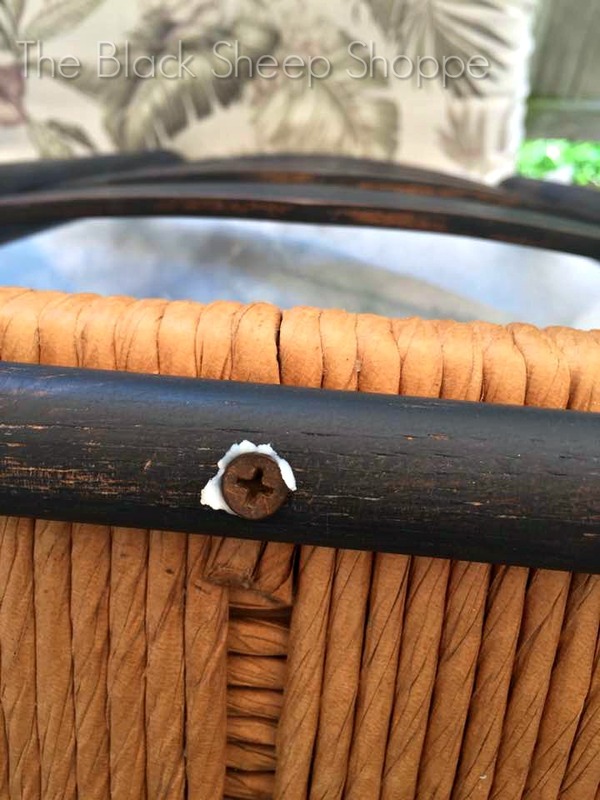 I'm not after perfection, and I think a little bit of wear and tear adds to the authenticity and gives it a bit of vintage charm. 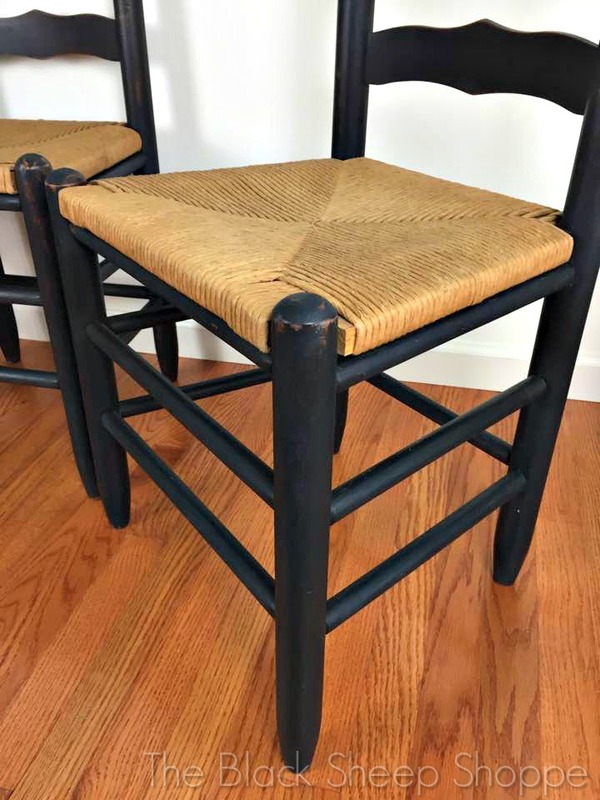 A little bit of wear and tear adds to the authenticity and vintage charm. 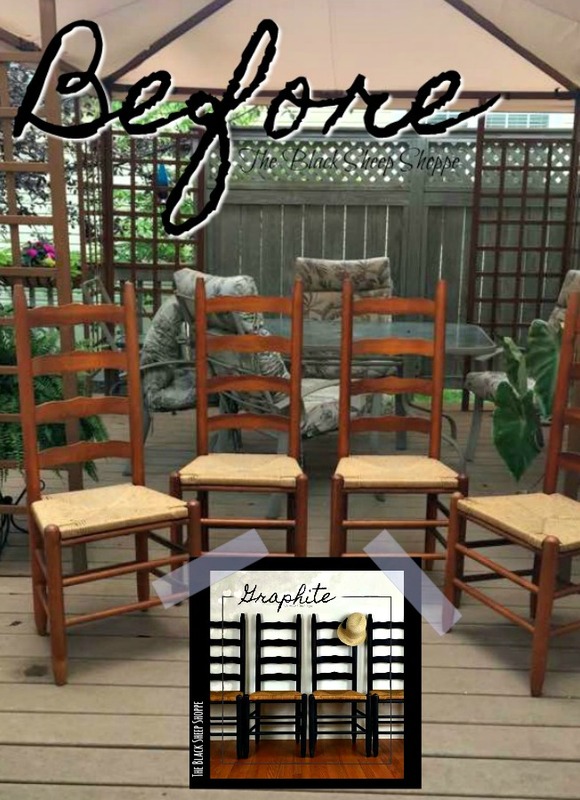 I took a few different shots of the chairs with slightly various staging ideas. 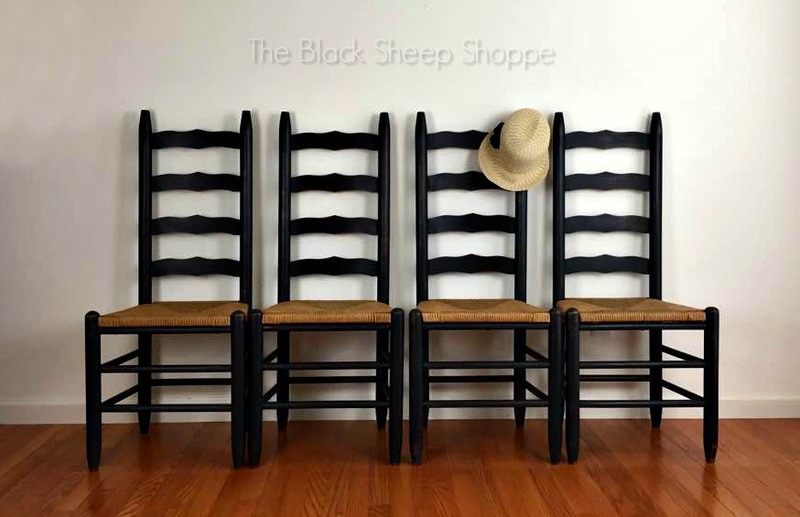 Four ladder back chairs staged with vintage hat. 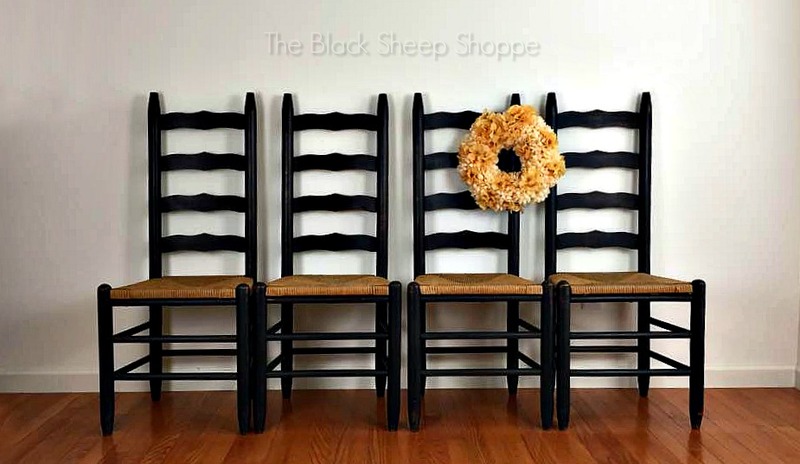 Four ladder back chairs staged with yellow wreath. 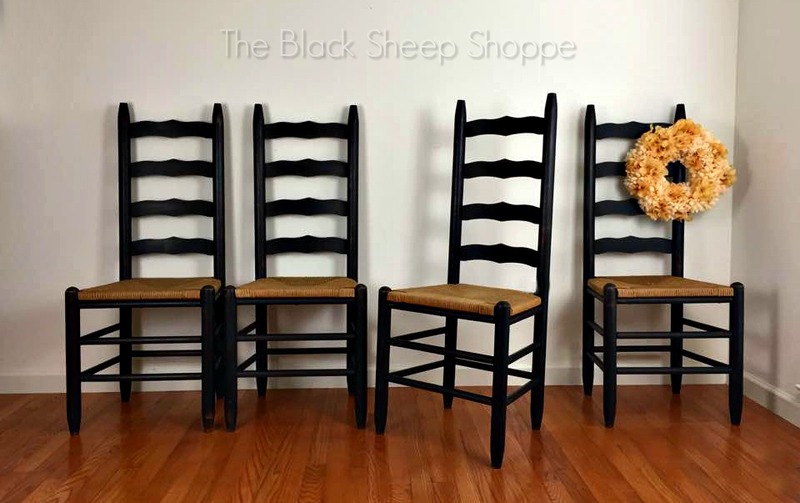 Four ladder back chairs with one chair at angle. 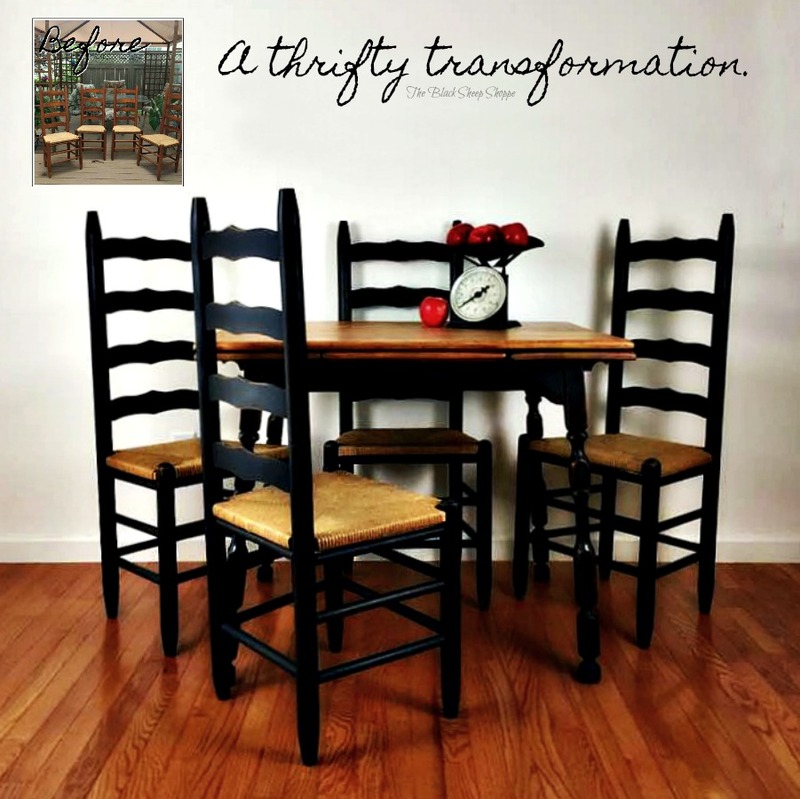 Finally, here are the chairs paired with my vintage table. 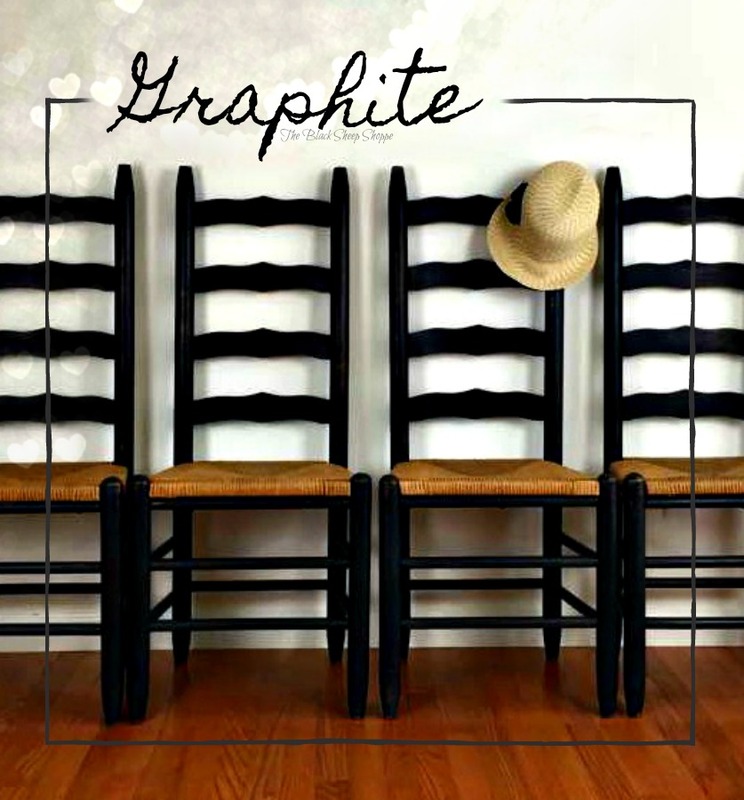 The black base of the table matches the chairs, and although this was not originally a set, all the pieces coordinate well together. I hope you enjoyed today's project, and I appreciate you stopping by. 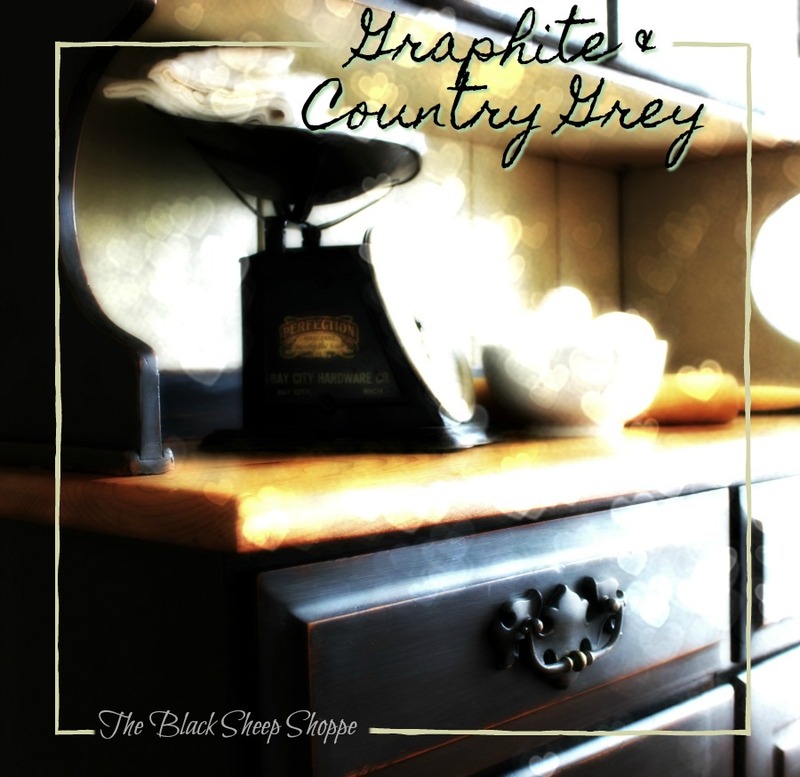 Chalk Paint Products by Annie Sloan (Graphite paint and soft clear wax). Flexible sanding pad, 220-grit sand paper, and tack cloths (for quick removal of sanding dust. Lint free shop rags and Shop towels for removing excess wax and buffing.